Wow the year is racing by and already I've read some amazing books. 9 books have just blown me away this year that I can't stop thinking about them. April was a particularly crazy month where I read four books that were fantastic. It's been a great year of reading fantasy and mystery books. Some new treasures have been uncovered and some favourite series have been advanced. Let's check below for the five star reads! If you're not reading the magnificent The Malazan Book of the Fallen series you seriously should consider it. They're long, epic, detailed and just mindblowing. Well, for this reader anyway. There was trepidation when I picked up this book as I had been warned I would meet a new cast of characters, with a sprinkling of familiar faces from Gardens of the Moon. I need not have worried. The story of Coltaine and eventually the Chain of Dogs was edge of seat reading. A sense of doom, mingled with hope sat with you through that story. It made me want to cry, scream in frustration at the unfairness of the story, but also see how events converged over time in such a way, that you might just be pulling your jaw up from the floor. I couldn't stop thinking about this book for ages after I finished and found it difficult to move onto the next book. Each battle pushed Coltaine and his soldiers to the limit. It was a battle that whittled away at the reader and made me nervous as to how it would all unfold by the end. Don't let the length of this series put you off reading it. If you thought A Song of Ice and Fire was the best series out there, don't be surprised if The Malazan Book of the Fallen topples it from your number one fantasy spot. A barren wasteland of non five star reads. Crying. Tears of sadness and frustration at the sense of inevitability about the conclusion. Darn good storytelling, that makes this book one of my top reads this year. Inspired by Spain, this historical fantasy book was a clear winner for me. 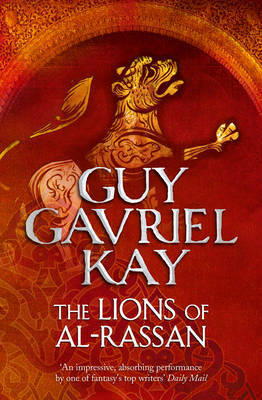 The Lions of Al-Rassan was first brought to my attention by the Fantasy Buddy Reads group on Goodreads. It was refreshing to read a standalone novel for a change, when so often I seem to be in the middle of so many series. 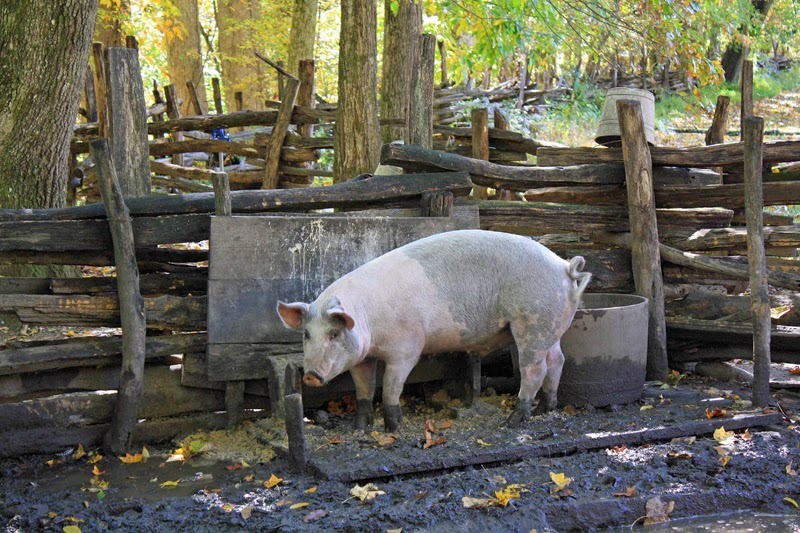 Gavriel pulled me along with this story as I saw glimpses of Spain interwoven in the tale. Two great warriors, foes and friends that traverses the politics of a fractured region. If you want to read historical fantasy, you won't go wrong giving this book a try. This month was crazy. It felt like I was reading a continuous stream of books that were sensational. I've been reading this series as books have become available from the library, so slowly going for the last year. It's been a great ride and a strength of this series is the cast of side characters that help Harry Dresden on his cases. 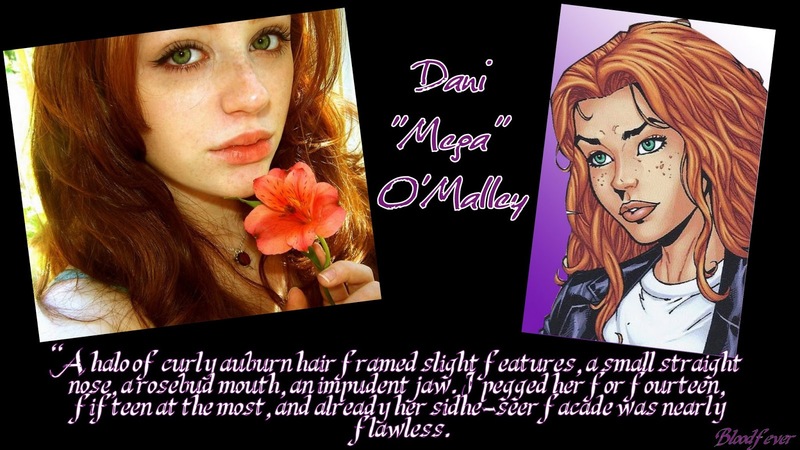 These side characters are rotated amongst the books, and when their skills are most needed they come to the fore. Harry is powerful, yet how powerful may he become. None of the books in the series has yet be less than satisfactory and long may that continue. 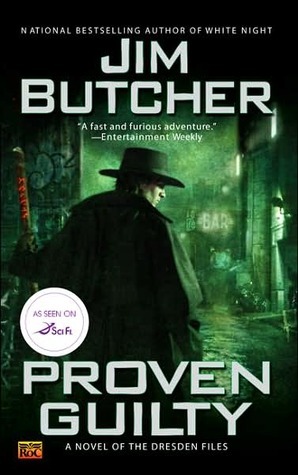 I can't really say too much about the book given it's the eighth in the series, but the Dresden Files is well worth giving a go. I've heard the audio version narrated by James Marsters is really worth listening to, if you're into audiobooks. 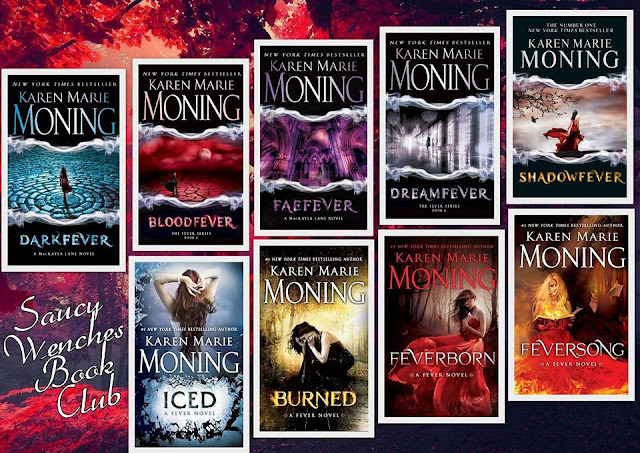 One of the best urban fantasy series out there. The Cork O'Connor series was a selection in the 2-3-4 Challenge group on Goodreads and by book 4 this series is really hitting it's stride. This was yet, another book that ended in tears. Cork O'Connor has another mystery to solve, can he prove that Solemn Winter Moon is innocent of murder? 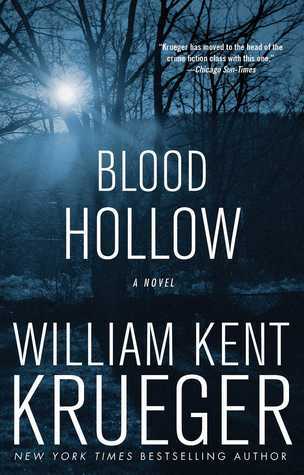 The story twists and turns towards it's conclusion and as with any Krueger book, you have to be prepared for the unexpected. Sometimes I can pick up the murderer in his novels. I could this time as well, but it by no means lessened by enjoyment of the story. Krueger has made me care of Cork O'Connor and his family. It looks like I'm with this series for the long haul. Only 9 more books to go to be up to date. If you want a great, contemporary mystery series it's well worth giving this series a go. 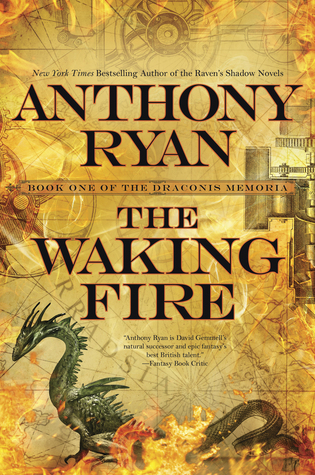 It looks like I can't stop raving about The Waking Fire. Read it people! If you love steampunk, fantasy or drakes, this is the series for you. Resource exploitation, the oppressed (drakes) fighting back. This story has something for everyone and you might be pleasantly surprised how much you like the tale. Told from the point of views of Clay, Lizanne and Hilemore, each storyline gave us a different focus on the story and how the world they encompassed was about to change. For a while there was was unsure how each storyline would intersect, but by the end it was clear and shows great promise for the next book The Legion of Flame. I picked Burial Rites for a challenge I was doing where I had to read a book set in a country I had never read about before. What better country to pick than Iceland! This was another one of those books I had been meaning to read for a long time. An historical mystery book that encompassed the brutal struggle for survival in 19th century Iceland, yet also showed the stark beauty of the landscape. We are confronted with the story of Agnes who has been condemned to death for murder. Forced upon a farmer's family to await her execution. She is unwanted and viewed constantly with the air of suspicion. She has been found guilty of murder and who would want a murderess in their midst? As the story unfolds the reader is unsure if Agnes is guilty or innocent. Keep some tissues handy. Another Malazan book on the five star chart! Epic in scope and mind boggling in details. Memories of Ice saw a welcome return of many characters we had grown to love in Gardens of the Moon. This instalment was easier to digest as I was already familiar with a lot of the characters. The trouble is Erikson isn't afraid to kill characters off, so just be warned. Don't get too attached to anyone. It was an ending I didn't want to see, yet no doubt it will make sense in the grand scheme of the series. It was another unsparing build up to convergence and as new details are revealed, we realise how clearly gods are at play amongst the inhabitants of this planet and they'll use whatever advantage they can gain. After all, there's always someone wanting advancement for their own ends that gods can manipulate. Whilst, this didn't make me cry like Deadhouse Gates. There was a lump in my throat by the end. When does dead mean dead, never to be seen again? 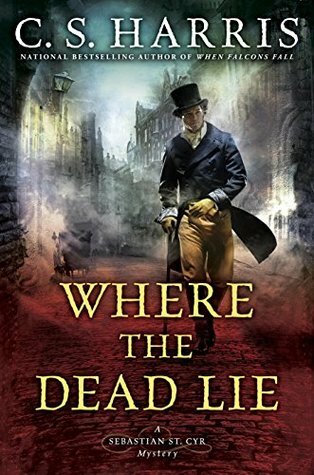 Historical mystery series, which I found far more enjoyable than I thought I would. I shouldn't have feared, it was exactly what I wanted to read. 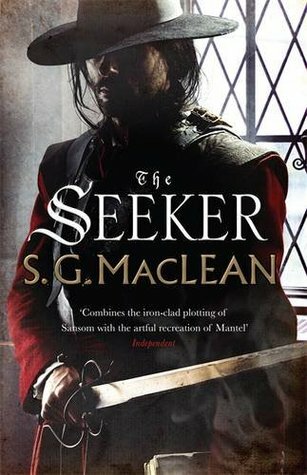 Damien Seeker loyal to Oliver Cromwell in Protectorate England, yet he's not afraid to seek the truth. Even if his sense of justice may differ from ours. When reading this book it pays to remember that these are people with 17th century opinions and I enjoy that it hasn't been modernised. Damien Seeker is on the hunt for who killed John Winter and he's going to uncover some unexpected results. The truth will eventually come to the surface. The Sebastian St. Cyr series is another favourite of mine that hasn't diminished over time. Onto book 12 and the story is just as gripping, if not more so that previous books. Where the Dead Lie, felt grimmer than earlier books in that it dealt with street kids and what was happening to them. There is a killer on the loose and it's up to Sebastian to try to uncover the culprit. The life on the streets is a constant struggle for survival for these parentless children, whether abandoned, parents have died or been sent to Botany Bay. Sebastian sees first hand how difficult life is and how cheap it is regarded by other members of his class in society. It was sickening, yet I'm sure fairly realistic of the time. This story ends a bit more unexpectedly then other books have and it's going to be interesting to see how the story moves forth from here. Is it possible to rank these 5 star reads? Each book was brilliant in it's own right. Whether it made me cry, think of life's bleak moments or marvel at the author's world building they all had that extra spark in their own right. Though, it's fair to say I seem to like a book that's going to make me cry or leave a hollow pit in my stomach vs a book that just makes me smile at the end. Out of the books listed above there are three that stand clear in my mind. 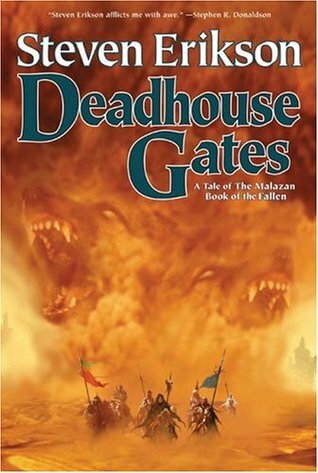 Deadhouse Gates for the devastation I felt by the end of that novel. If was brutal and gut wrenching. 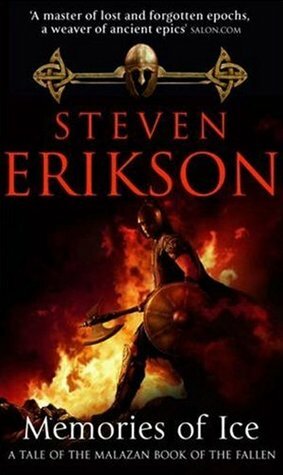 I really felt Erikson carried me along with that story and left me a bit broken by the end. 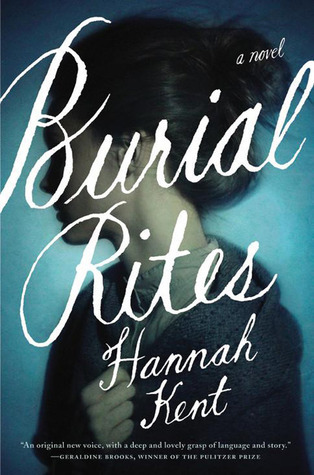 The second book was Burial Rites. Again it was heart rending read. It packed a powerful punch by the end and I was still thinking about it days later. Lasting The Lions of Al-Rassan. A book with a sense of inevitability about it. You just sensed that there could only be two ways the book could end and either choice was going to be soul destroying. These threes books stood slight about the other six, yet all worthy of being amongst my 5 star reads. What have been the standout books for you so far this year?